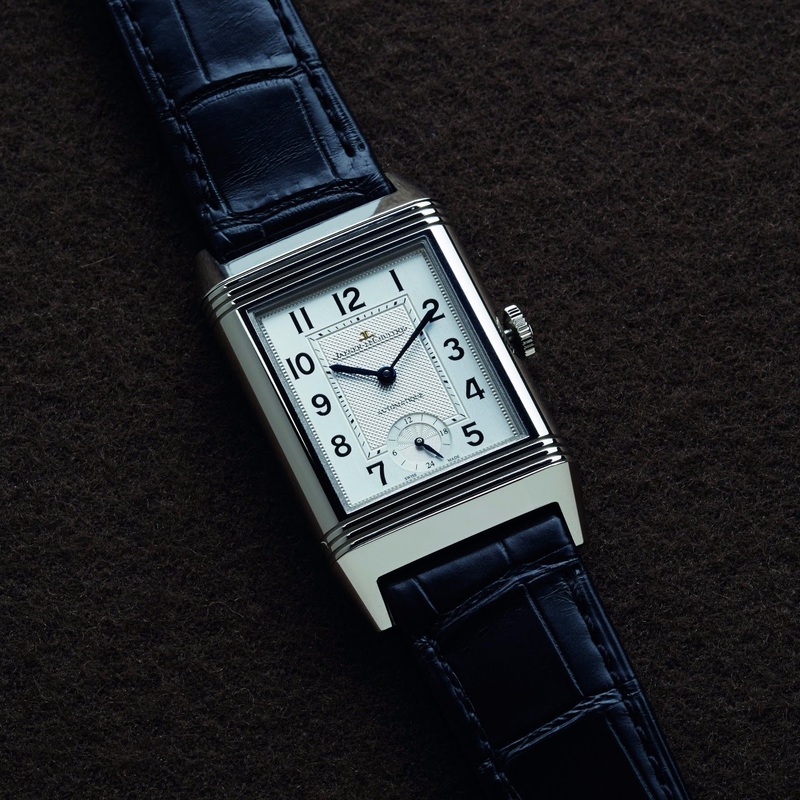 Jaeger Lecoultre Grande Reverso Automatique: Some special Reverso issued for some countries. 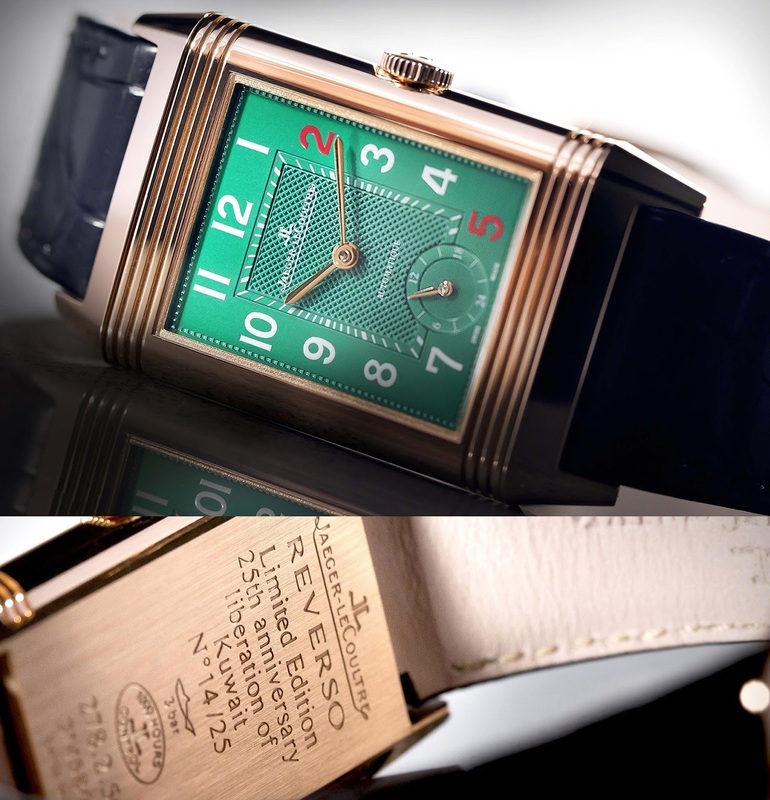 Some days ago, I started to wonder how many special Reverso were issued for countries. 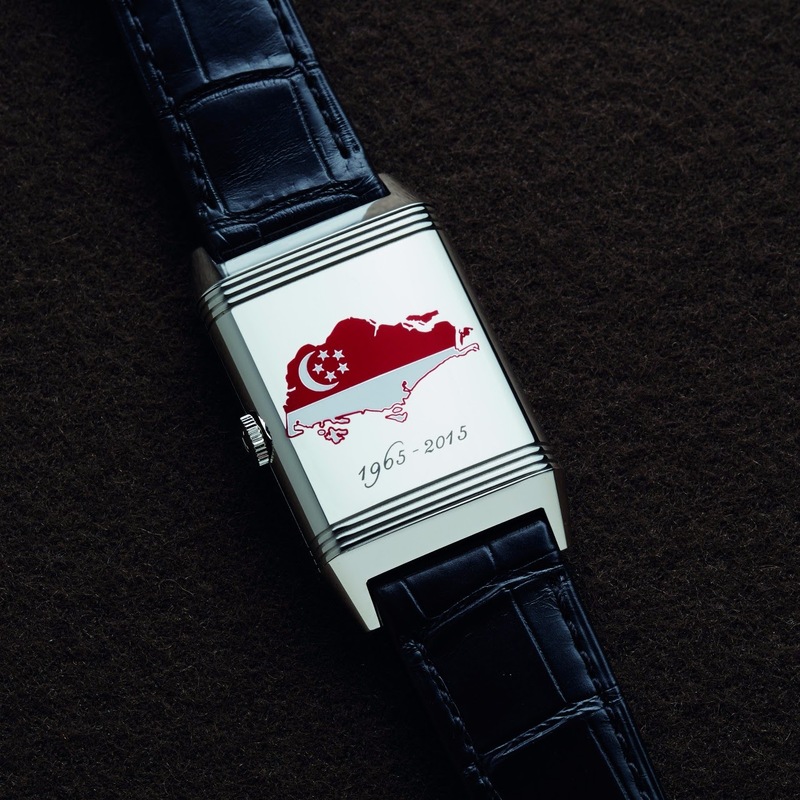 One to celebrate Singapore 50th birthday ( 2015 ). Credit picture: Unknown. One for Thailand, The " Rama King IX " issued in a batch of 39 pieces in 2016. And two for Kuwait ( 2016 ). 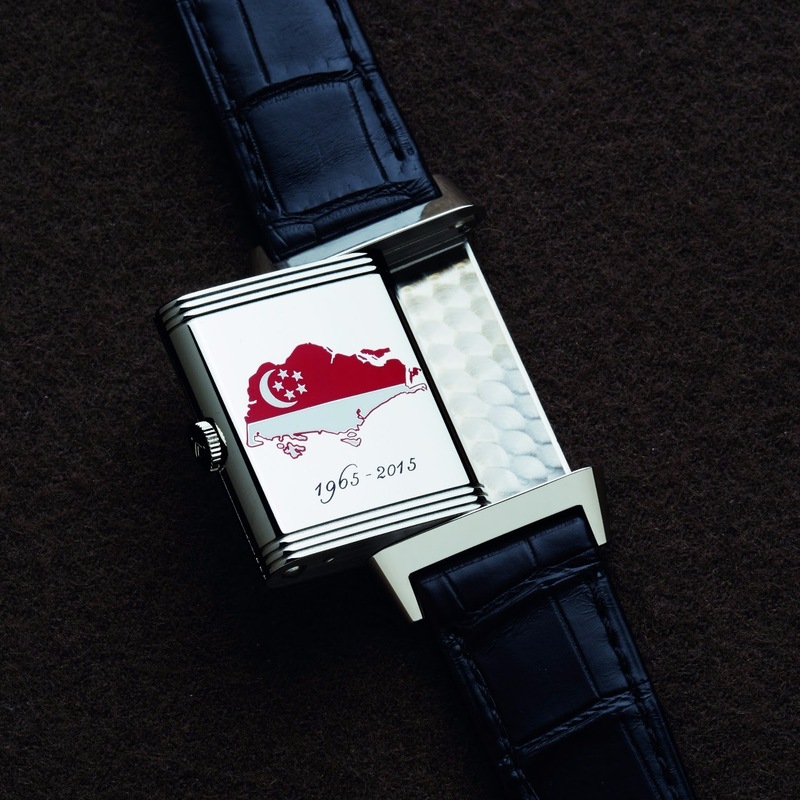 - One to celebrate the 55Th Day of the Nation, in steel ( 55 pieces ). 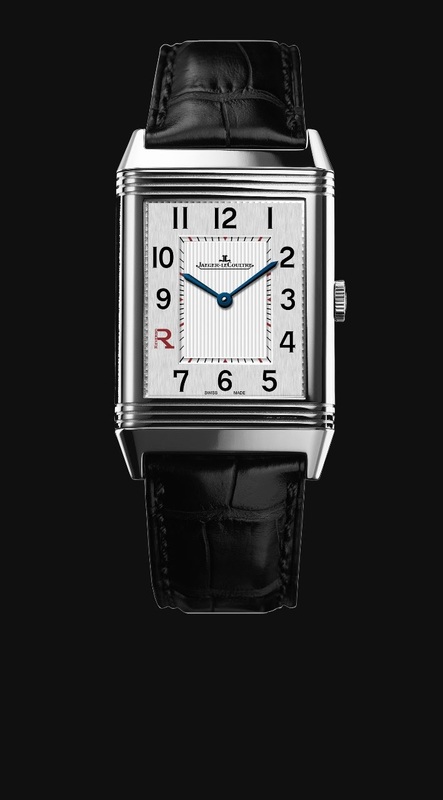 I would not forget the Grande Reverso Ultra Thin Italico, for the italian market, but the movement is manual winding, on this one, the Cal 822. 150 pieces in steel, 50 pieces in rose gold, issued in 2011 to celebrate the 150th anniversary of Italy Reunification and the 80th anniversary of the Reverso. Both with this Red R which is a special color for the italian market and which meant 80 in the roman alphabet. 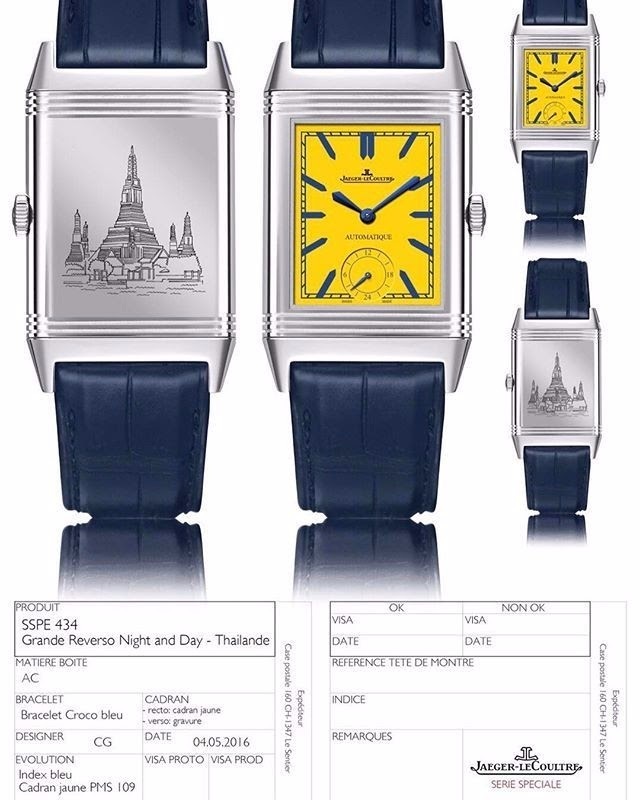 For the Singapore, Kuwait and Thailand Editions, the automatic movement is the Cal 967. The case is close in size ( 46, 8 x 27, 4 mm ) but much thicker than the Grande Reverso Ultra Thin " Italico ", with a height of 9, 14 mm, which is almost 2 mm thicker than the " Ultra Thin ". 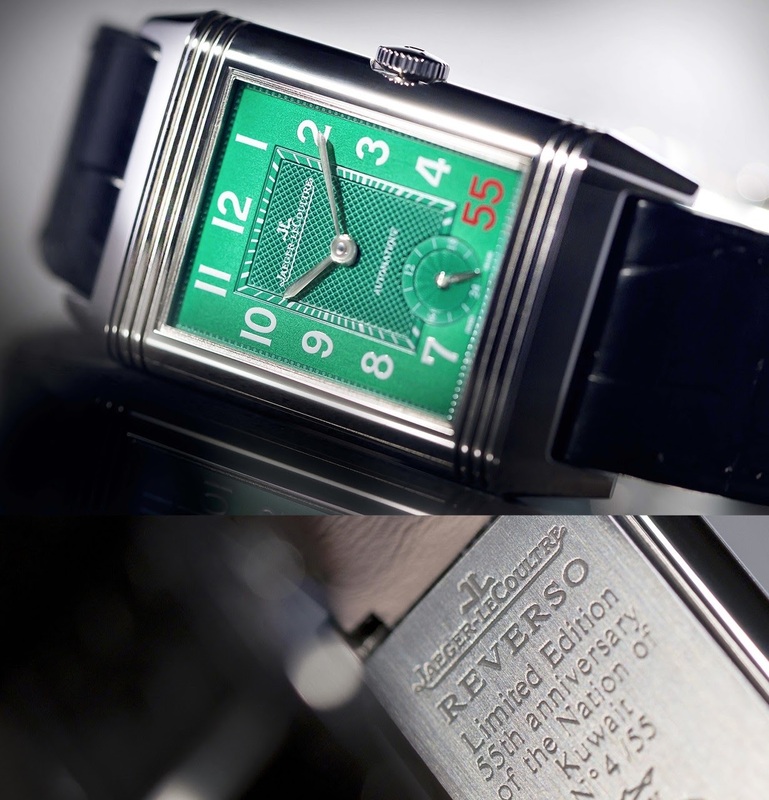 Do you happen to know more special Reverso dedicated to countries? The Famous "Christ the Redeemer " from Rio. Thanks, K.
Thank you, David! Yes, from 1997. GT Case, 28 pieces. Bravo! I would favor the Italico because of its manual winding movement, as well... Gracias, Vicente. Yes, it is a great looking one. Thanks for looking, Niall. Grande Reverso Ultra Thin Italic in steel... the letter R in red is striking - if I can find one I’ll buy it, well matches my son’s first name too! :) Thanks, Mahesh. Good luck, my friend. Seeing one of these amazing pieces is almost impossible... but can you imagine seeing 2 next to each other on the same day? It's like a horse race where they are riding unicorns!! The amazing W40801 in white gold and the G20802 in yellow gold Not only are the cases, dials, etc in beautiful condition, just look at those bracelets!! I can honestly say I have never felt bracelets that flexed so smoothly and felt so comfortable against the wrist... I really did not think it was possible! Cheers Andrew .